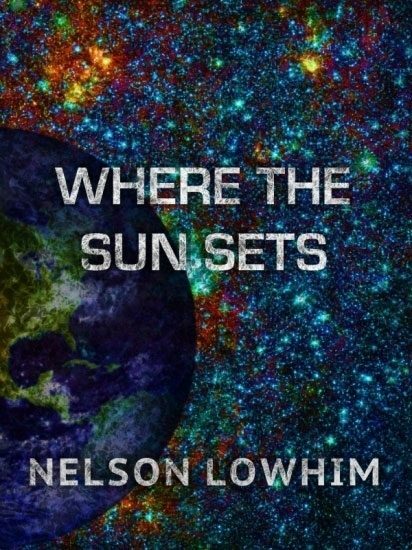 Where the Sun sets is a collection that includes three short stories and a "novellete". The stories take place all around the world, as well as beyond our world. Take a trip through the human experience with these stories. "Night After"...In New York City: A man wakes up after an uncomfortable night... Liquor, a bar, an unknown dwelling, all drip through his memory. He settles down with another drink. A man from the night walks in front of him. As the tension burns the air between them, images of the night come forward. Someone else was involved; that person's presence hangs in the air. What happened? What did he do? And does he now have to pay for his sins? This is a short tale on the motivations of a writer, what he does to achieve that, and his hopes for even a moment of bliss. "Clara"... In Tanzania: Clara watches as her husband is lowered into the ground. Tears fall from her cheeks onto the dusty African earth. Her son looks up at her. With her husband's body lies a terrible secret. Should she tell her son? Their fates are intertwined. As she retraces her steps to find an answer, she realizes that everything she thought she knew may have been the problem to begin with. This story take us on a journey into human relationships, love, the bonds of a family, and how they can be torn apart by larger forces. Otros ebooks de Nelson Lowhim.